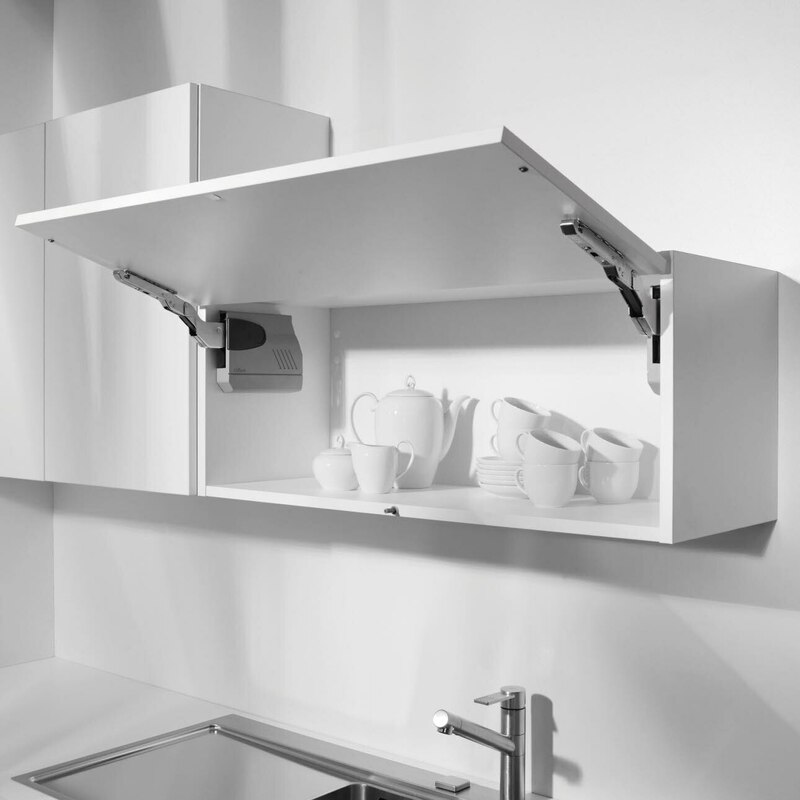 Individual kitchen planning needs individual solutions. 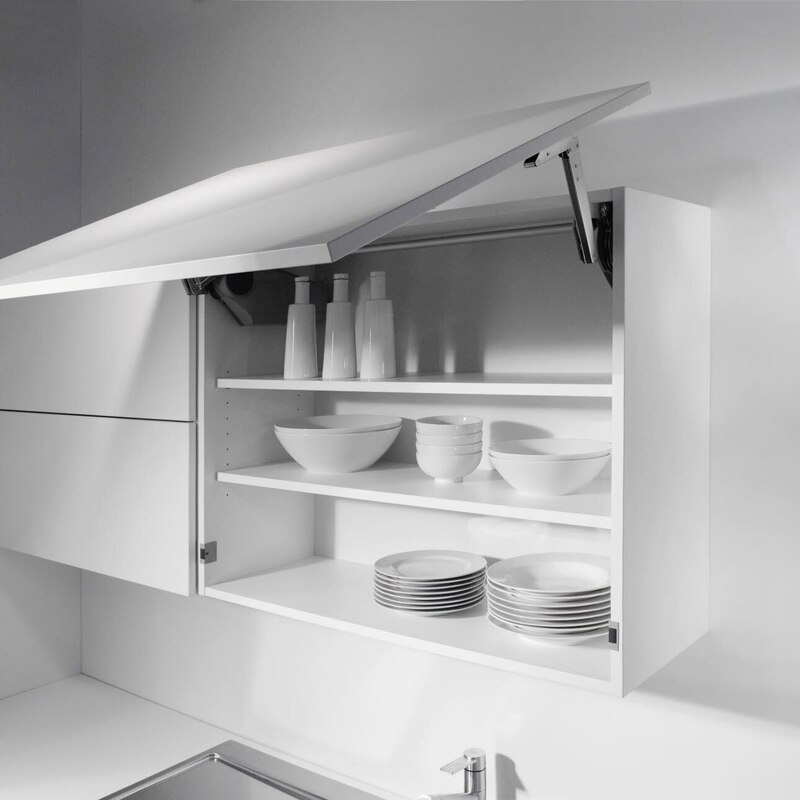 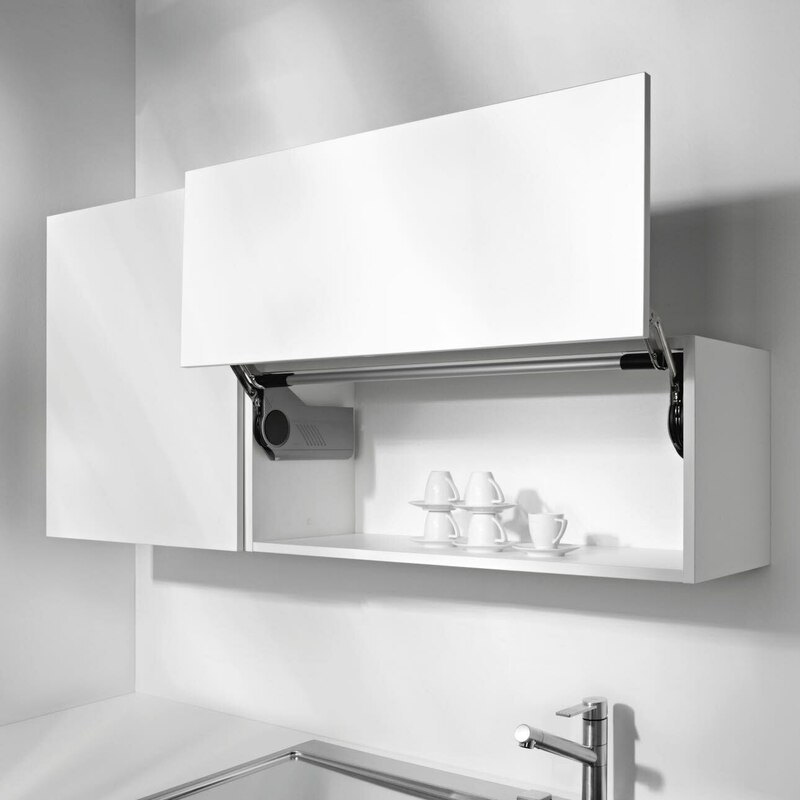 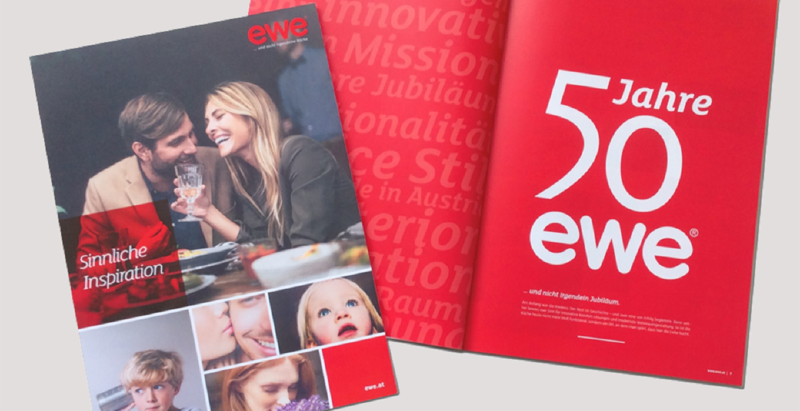 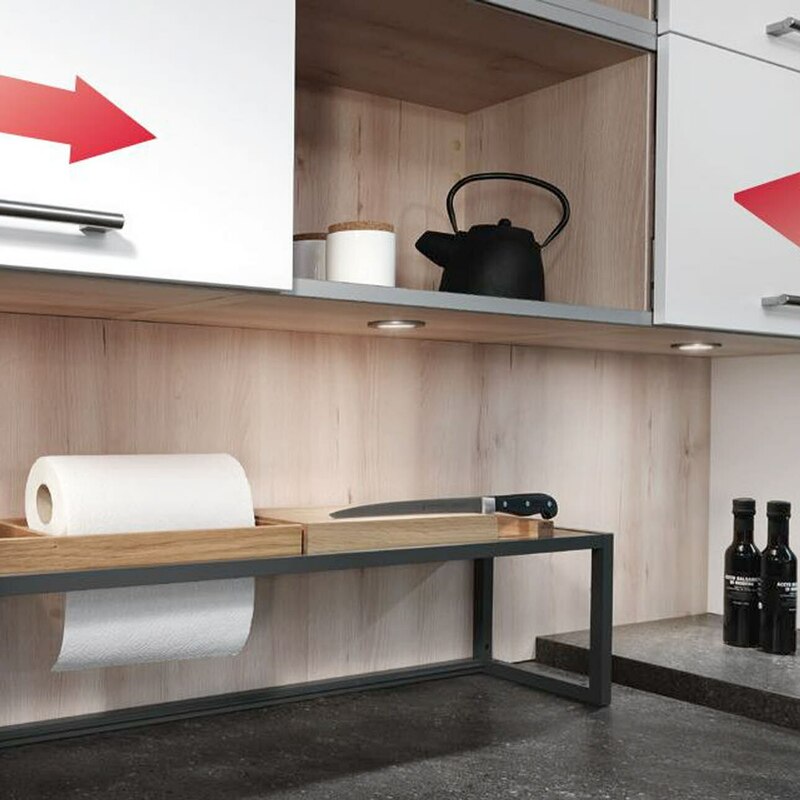 Discover our electric supported opening systems for flap fitting, stay lift fitting or swivel-up fitting for a maximum of comfort in your kitchen. 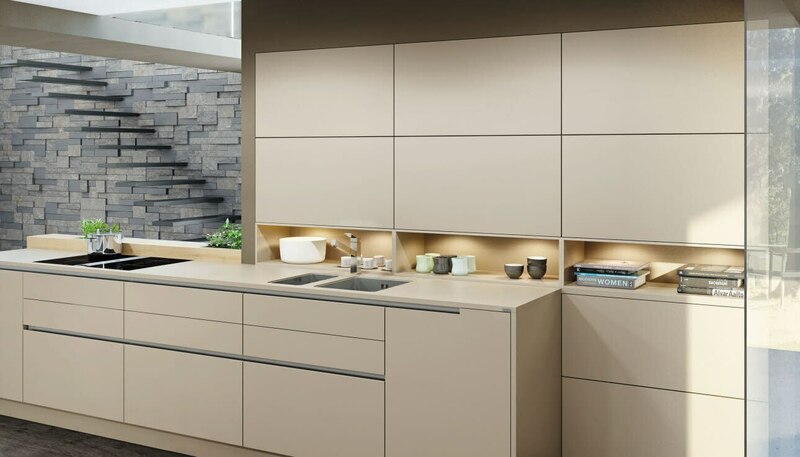 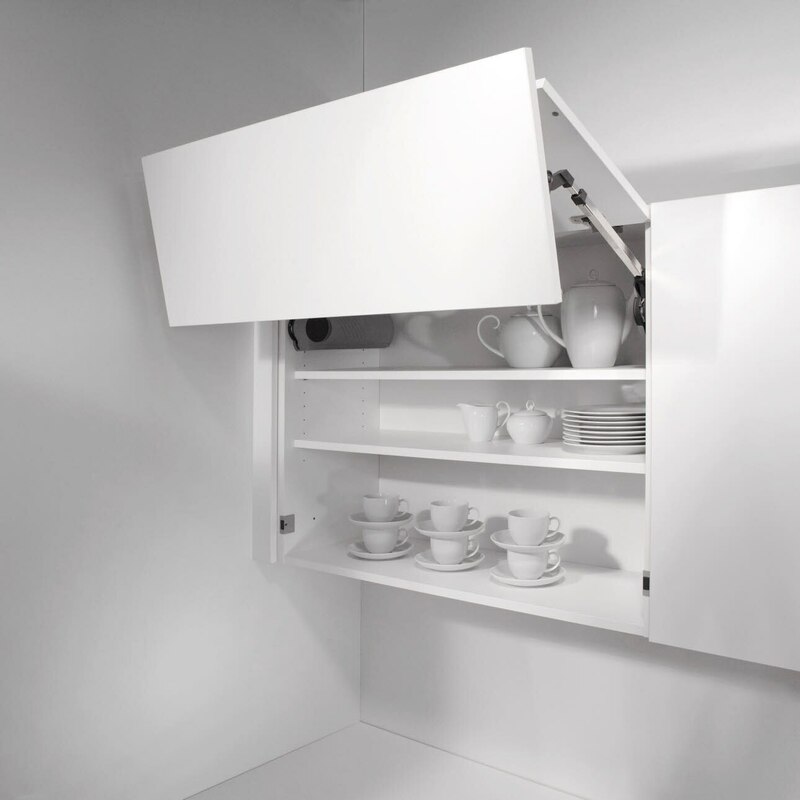 By help of our Touch & Drive technology you may easily open all cabinets by tapping slightly on. 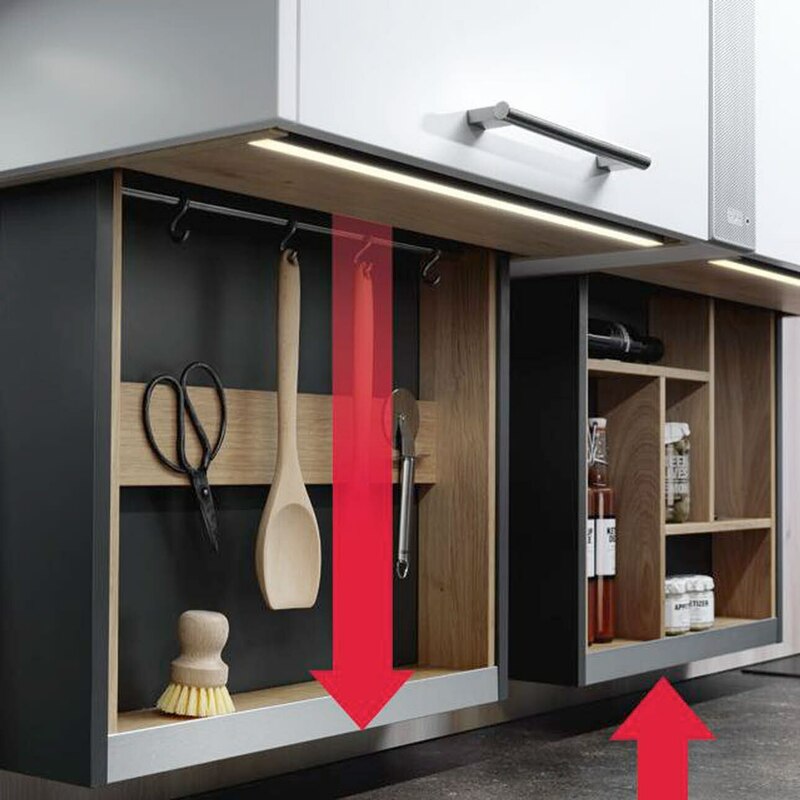 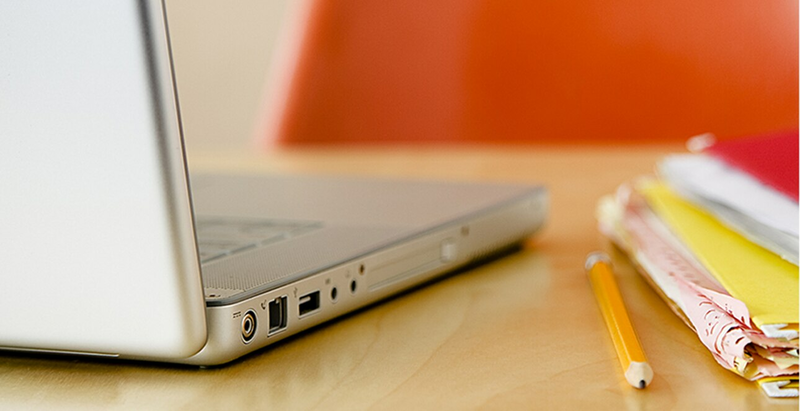 This not only is practical when your hands are full, but looks also good and offers you more storage space.